The Fort Saskatchewan Chamber of Commerce is pleased to present —Chamber on Tap. Hosted by a different chamber member every second month on the second Friday, Chamber on Tap is the premiere after hours business networking event in Fort Saskatchewan. Connect with other member businesses, exchange ideas and talk business in a relaxed, informal atmosphere. Free to Chamber members. Appetizers are always provided. If you’re considering a Fort Saskatchewan Chamber of Commerce membership, Chamber on Tap is an ideal way to experience one of our many member benefits. Hosting Chamber on Tap is a fabulous way to showcase your business. Contact the Chamber office at chamber@fortsaskchamber.com for information on hosting a future networking event. 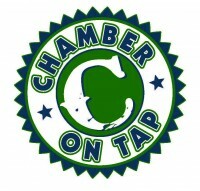 Maybe you have a business you would like to promote at Chamber on Tap by providing a door prize. Contact the Chamber office for details.